Are you looking for a great family home on a quiet Cul-de-Sac for the kids enjoy. Welcome to 814 Woodside Court. This one owner home has been very well maintained and offers a nice pie shaped lot with only nature in behind. This 3 bedroom home offers a full finished basement with 2 baths, dining room and sliding patio doors to a large covered deck. The huge yard is almost 100 feet across the back and is fully fenced. This is a great home. 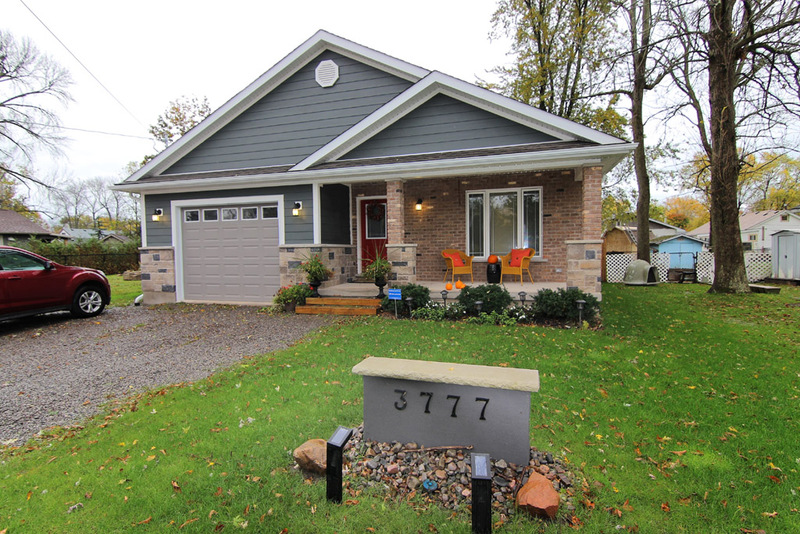 183 Catherine Street in Fort Erie is home to a NEW PRICE of $384,900.00. Large family home with huge main floor family room, bonus 3 season room and in-ground pool. Welcome to 183 Catherine Street in Fort Erie. This 4 bedroom home is located in central Fort Erie, close to all in-town amenities, schools, library and so much more! This home has a family sized kitchen/ dining room combo and large foyer. Hardwood floors in bedrooms. Property also features; finished recreation room and second kitchen in lower level. Could be an in-law apartment with a private walkout. Call or text me at 905-651-3279 to book a showing today! 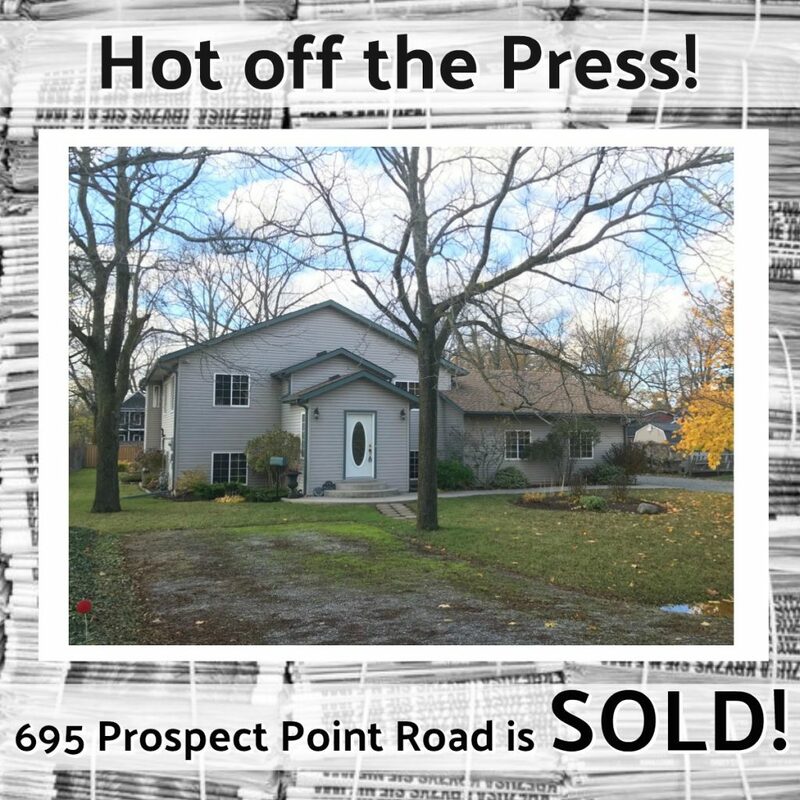 Hot off the Press… 695 Prospect Point Road is SOLD! 695 Prospect Point Road in #Ridgeway is SOLD! Congratulations to our Sellers and the Buyers! Want to know what your home is worth? 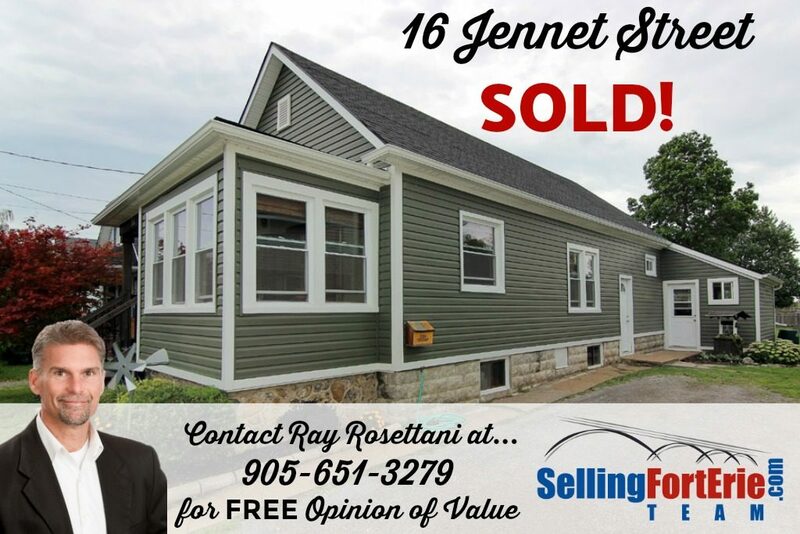 Call the SellingFortErie Team (Ray Rosettani, Cheryl O’Hearn, Phil Rosettani or Diane Lepage) today at 905-871-5555. Yet another home in Fort Erie is sold! Congratulations to the Sellers at 16 Jennet Street. 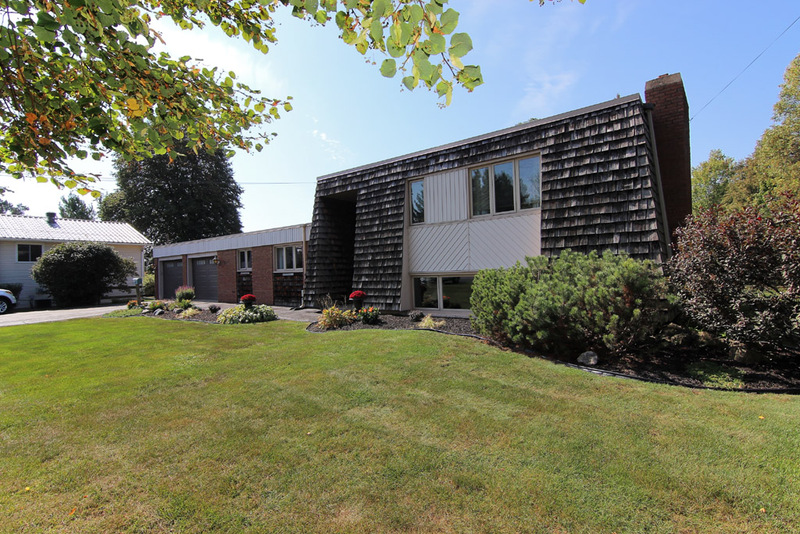 Great home, centrally located in Fort Erie. This home is near all in-town amenities. Home has recently been renovated with new siding, roof shingles and is maintenance free. A large private yard backs onto Oakes Park. Large gazebo and storage shed compliment the rear yard. A great three season room makes for a fantastic getaway. Wondering what your home is worth in today’s Real Estate market? Call or text me at 905-651-3279 for your FREE Opinion of Value. 891 Rosehill Road is HOME to a NEW PRICE! You can’t take your eyes off this beauty. This stunning 2 storey home features 5,537 square feet of living space with attached double car garage, large circular driveway and private backyard with in-ground pool and hot tub. This exquisite home is situated on just under 3.5 acres of land with no rear neighbours. Other noteworthy features of the home include; 4 bedrooms, 3.5 bathrooms, lovely oak throughout giving the home loads of character, formal living room and dining room, kitchen with tons of oak cabinets and kitchen island with built-in appliances, master bedroom is equipped with en-suite with Jacuzzi tub and walk-in closet. The third floor features granny suite with large bedroom, 4 piece bathroom and den. The basement of the home is partially finished with recreation room, bar, games room and gym. 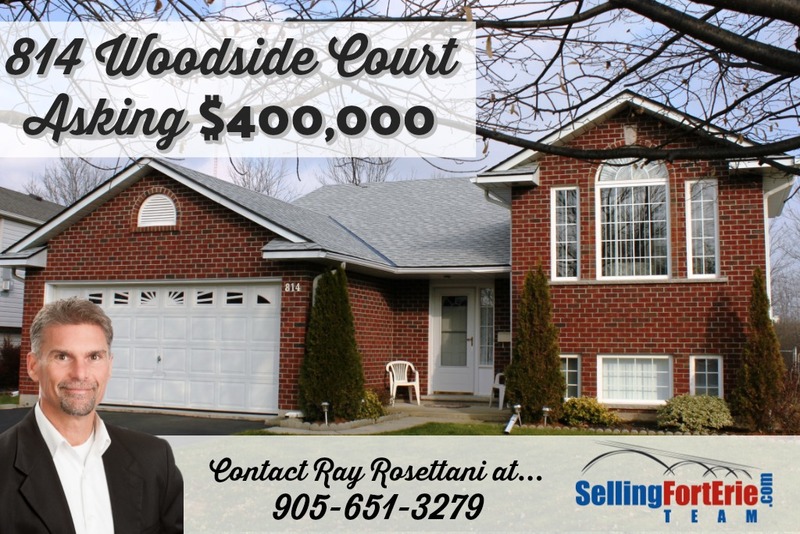 Call Ray Rosettani at 905-651-3279 for your private showing! 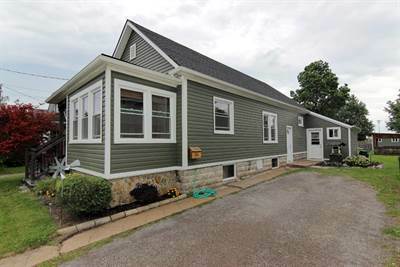 Our newest listing at 3777 Mathewson Avenue in Crystal Beach, Ontario. Listed for $489,900.00. Come check out this custom build bungalow located in a quiet neighbourhood in Crystal Beach. Enjoy sitting on your large covered front porch, while enjoying morning coffee. Home has open floor design. Spacious kitchen with island and patio doors leading to back deck. Relax in your master suite with walk-out and private bath. Full finished basement with recreation room, gas fireplace, 3 piece bathroom and bedroom. For your private showing, please feel free to call/ text me at 905-651-3279. Move in Ready, 1 1/2 Storey Home! • 1000 sqft , 1 bath , 3 bdrm 1 1/2 story – FOR SALE CAD225,000 . New Price! 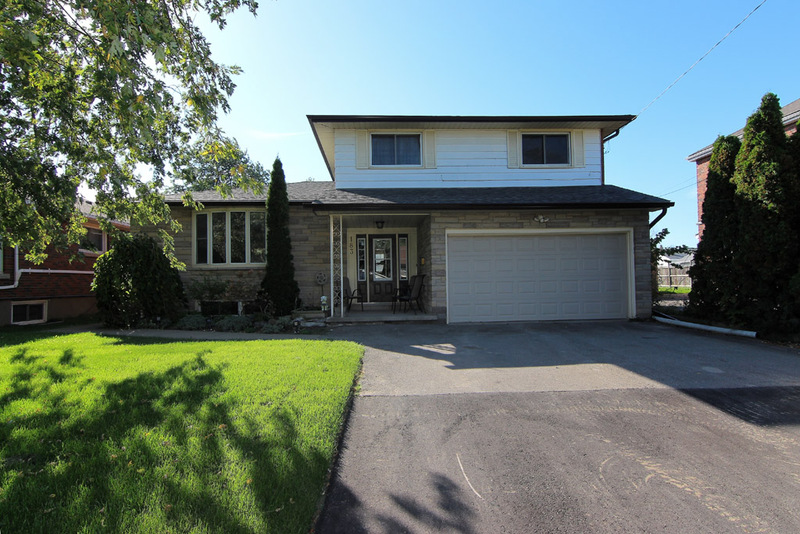 Great home, centrally located in Fort Erie. This home is near all in-town amenities. Home has recently been renovated with new siding, roof shingles and is maintenance free. A large private yard backs onto Oakes Park. Large gazebo and storage shed compliment the rear yard. A great three season room makes for a fantastic getaway. The home is move in ready. Call for your showing today! Looking for a unique property in Crescent Park? 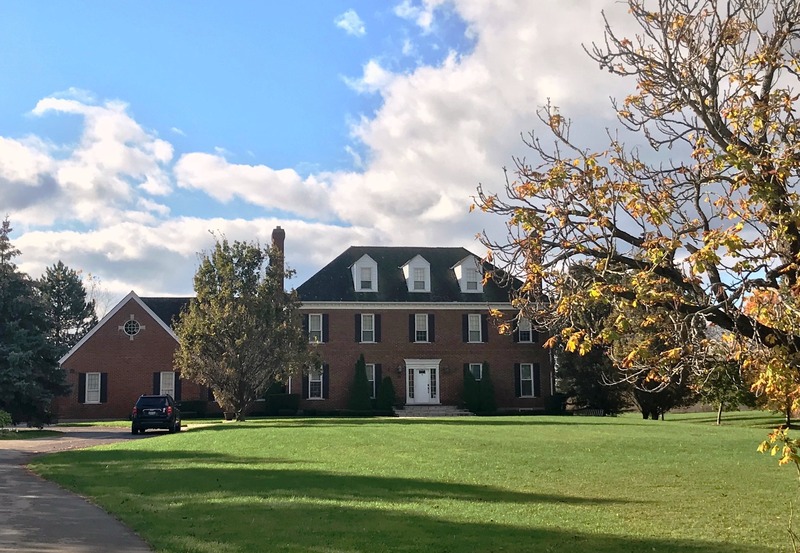 Here it is… 783 Buffalo Road! Custom Built Side Split on huge Crescent Park lot. Welcome to 783 Buffalo Road, a wonderful and extremely well kept family home. There have been many improvements over the past few years including a new roof on the house in 2006 and on the garage in 2007. Updated kitchen, including new flooring in 2006, both bathrooms have been renovated in the last 3 years. Newer garage doors, entrance doors & replacement “fiberglass” windows. This home has a large and bright foyer, formal dining room, and a large living room with access to the covered area in the rear yard. A large recreation room and extra bedroom has a walkout to the rear yard. For those that love a large garage, this home has an attached oversized two car garage with lots of storage as well as a large 24 x 24 detached garage or workshop with electricity. Book your appointment today, you will be impressed with the pride of ownership. 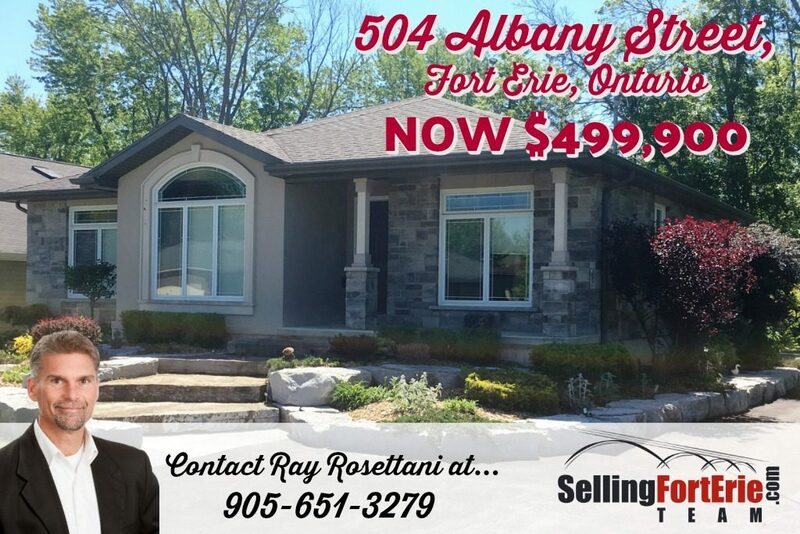 504 Albany Street (MLS #30593812) is NOW $499,900. Get ready to move into this fantastic house! Incredible bungalow that offers 3+1 bedrooms, 3 baths, full finished basement with in-law possibilities. You will find top quality finishes throughout the home. Situated on a nice lot that offers lots of privacy. Enjoy your morning coffee on the back covered (19×7) porch. Other features include: attached double car garage, double wide paved driveway & great curb appeal. Call me today at 905-651-3279 to book a private showing! 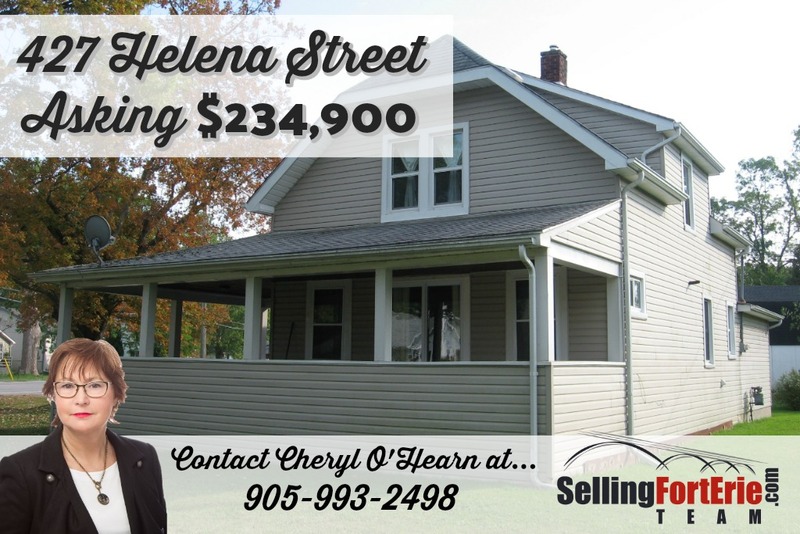 Cheryl O’hearn has a NEW LISTING at 427 Helena Street in Fort Erie. Asking price is $234,900. To book your appointment today, call Cheryl at 905-993-2498. Spacious 4 bedroom character home. Well maintained. Freshly painted. Large principle room. Eat in kitchen. Most windows 8yrs. Siding 8 yrs. Furnace 10 yrs. Bath gutted and redone 3yrs. Garage foundation 1yr. Water heater 1yr. Big lot. Great Veranda. Steps to Waverly Beach Park and Friendship Trail. Minutes to Peace Bridge and QEW.